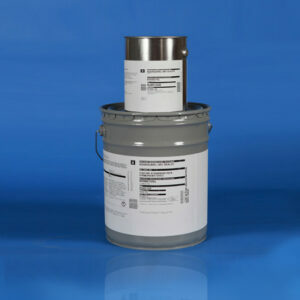 Description: AG 5001 is a 100% solids epoxy primer. Two-component system; Resin and Hardener. AquaGuard 5001 is a very low viscosity, solvent free epoxy resin curing agent based on the new light colored breakthrough in phenalkamine technology. Designed especially for 100% solids coatings has an excellent balance of cure speed and pot life, which enables coatings to be roll applied and provide an increased application window for the heavy duty protective coatings industry. Typical Uses: AquaGuard 5001 phenalkamines feature rapid cure and property development at ambient and low temperatures, superior water resistance, and good adhesion to marginally prepared surface (including rusty, cold, wet or damp surfaces). 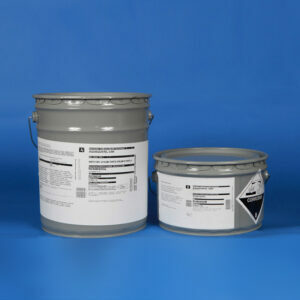 Most epoxy phenalkamine coatings show no blush even under cold and damp conditions. APPLICATIONS: One or two coats depending on the porosity of the surface. 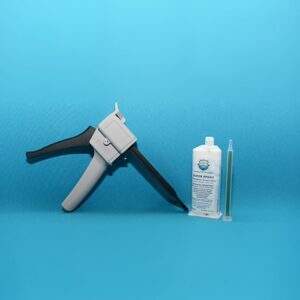 100% solids epoxy primers, direct to metal, concrete, masonary, mastics, and mid-coats for marine (especially ballast tanks and edge retentive areas), industrial maintenance, tank, pipe, and railcar applications. Application of an immediate application of top coat shall be applied after AG 5001 has dried tack free or while it is tacky or pliable. If re-coat time exceeds 1 week, the surface must be mechanically abraded and re-primed with AG 5001. Do not allow AG 5001 to puddle. Cure Time @ 77°F and 50% relative humidty. *Force curing is required for low temperature applications to expedite curing process.